All of our candles are made with 100% pure beeswax. No other waxes are added. For our scented candles, we do not cut corners on the amount of scent that goes in. All of our candles are very aromatic while burning or not. 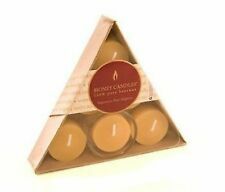 This is for two sets of 6 Honey Candles 100% Pure Beeswax tea light candles. Made with 100% pure Canadian beeswax. Air purifier, natural, clean honey aroma, warm amber glow. All our electrical / electronic products work only on 110 Volts. Local Pickup. 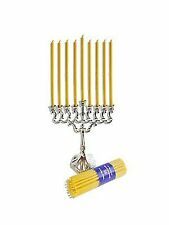 BRUBAKER 10% Beeswax Tree Candles - Pack of 20 - Honey Colored - 3.74"
10% beeswax for a fine festive fragrance. Highest quality - you will be amazed how calm and clean these candles burn. Why Burn Pure Beeswax?. Natural beeswax, while burning, vibrates at the frequency of the spinal cord. This is a good part of the reason why you usually feel so great in these places and find it difficult to be tired or depressed. DRIPLESS AND SMOKELESS - Our candles purify the air instead of polluting it like typical paraffin candles do. Our candles are more suitable for people with allergies or asthma than paraffin candles. Make a 'milk and honey' soap for a delectable scent using both beeswax and a bit of honey, or just appreciate the properties of beeswax in any fine handmade soap. 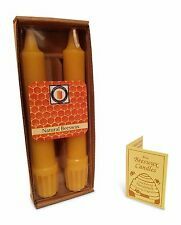 Beeswax candles are created out of beeswax produced by bees in the USA. 100% Pure Beeswax Candles. Honey Candle. 12" Taper Pair. Set of 4 Candles. Dark Brown. The Honey Pear Cider fragrance consists of delicious Anjou pear and Honey crisp apple cider sprinkled with cinnamon & cloves. Swan Creek 100% Soy 24 Oz. Each jar includes signature soybean crumbs on the top of the candle. Decorative label is removable. 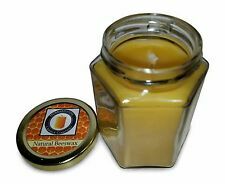 HONEY BATH CANDLE 18 OZ. OLD WILLIAMSB. ONLY WITHIN THE UNITED STATES. They must be placed on the proper base, pedestal, or sconce to light properly and safely. All components are handmade in the USA. Honey scent is released when stickers are scratched. Sizes range from 1" to 1-1/4". Handmade with 100Percent pure canadian beeswax, Honey Candles produces a soothing warm glow and a delightful natural scent that burns for hours. The great thing about beeswax candles is that they produce a natural glow that closely mimics the light of the sun. All Scent Trays are Scented to the Max with our Special Blended wax that Holds 9% fragrance! try to top that Anywhere. Each Tray has a FULL 3 Oz. & is in a plastic tray with with 6 cubes you can break off with a lid to keep them Fresh! Sweet Honey Dew. 1 Highly Fragrant Scent Tray. All Scent Trays are Scented to the Max with our Special Blended wax that Holds 9% fragrance! try to top that Anywhere. Each Tray has a FULL 3 Oz. & is in a plastic tray with with 6 cubes you can break off with a lid to keep them Fresh! Burning beeswax candles cleans the air by releasing negative ions. 100% natural beeswax is used in these tealight candles. These tealights should burn between 3 and 4 hours. Only 100% yellow beeswax is used and is sourced from the United States. LOT OF 2 YANKEE CANDLE 3.7 OZ. HONEY CLEMENTINE. Honey Bee 23.5 oz. Each year brings an exciting opportunity to add new artists to the LANG Family so that we can continue to expand our unique artwork collection onto more calendar formats such as weekly planners, monthly planners, desk planners, pocket planners and more. As the candle burns, you'll notice a wax pool around the pillar. By folding the edges of the candle into the wax pools, you'll increase the length of burning, and also create a more even, radiant glow. Box of 20 Finest Beeswax Tree Candles Honey Yellow 10% Beeswax Made in Germany You made a good choice. 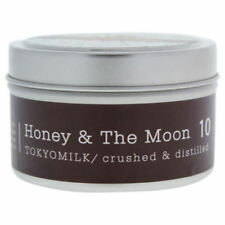 For this Candle only the best raw materials were used; the candles with 10% beeswax spread a breath of Christmas scent. 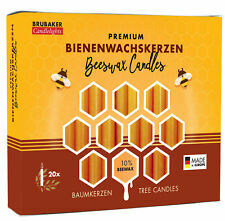 Box of 20 Finest Beeswax Tree Candles Honey Yellow 100% Beeswax Made in Germany You made a good choice. For this Candle only the best raw materials were used; the candles of 100% beeswax spread a breath of Christmas scent. HONEY TABAC - ARTISAN Collection Hourglass WoodWick Scented Jar Candle HONEY TABAC - White honey and smoked tobacco sweetened by juicy orange notes.Artisan Collection WoodWick Scented Candles are bold, eclectic and sophisticated. We are beekeepers in Eastern Washington. 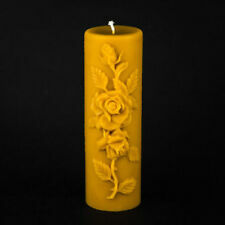 We have tons of different beeswax candles. Good luck! 6 LARGE Votives Votive 100% Pure Beeswax Candles. Beeswax candles burn significantly longer than paraffin candles. From shells to fruit to assorted fauna, you will find them all inside Rosy Rings Botanical Candles. Rosy Rings Botanical Candles are beautifully illuminated as the candle burns down inside the outer botanical layer. Honey Candles are inspired by the natural beauty around us. Unlike soy, palm and paraffin wax, natural beeswax is used essentially in its native state. There is no bleaching or hydrogenating. Honey Candles do not have artificial additives to prevent fading. 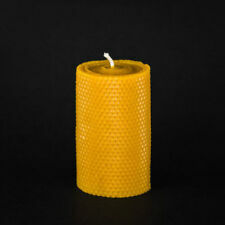 Honey Candles beeswax taper is perfect for the dinner table and a wonderful addition to any romantic occasion. Long-lasting, with a warm amber glow and a soft honey aroma, it makes for a fantastic gift, too. HONEY TOBACCO Rosy Rings 3-Piece Scented Votive Candle Gift Set A leather club chair, bourbon on the rocks, a gently wafting pipe, dark woods; Sensual and comforting, Honey Tobacco is almond, honey flower, crushed tobacco, patchouli, warm amber, sandalwood and tonka bean. Available in eight fragrances reflecting a unique blend of herbs, dashed with deep wood fragrances and citrus undertones. Each candle has 16 oz of scented wax. All Clayworks Studio Originals are special orders. HONEY TABAC - ARTISAN Collection Tin WoodWick Scented Jar Candle HONEY TABAC - White honey and smoked tobacco sweetened by juicy orange notes.Artisan Collection WoodWick Scented Candles are bold, eclectic and sophisticated. All Clayworks Studio Originals are special orders. Ground Freight Schedule (US 48 States) is Boxes must not be marred with tape or otherwise altered. ALL ABOUT COURTNEYS CANDLES & CREATIONS. Long-lasting, with a warm, soft glow, and a subtle honey aroma, our beeswax chakra candles are sure to enhance your spiritual experience. Each candle is hand dipped in Canada with love and care using 100% pure Canadian beeswax and a lovely touch of color. 4x Buzz & Bloom Honey Bold and Floral, 8 oz New Fresh Sealed. Condition is New with tags. Shipped with USPS Priority Mail. Bee Hive Jar Candle. 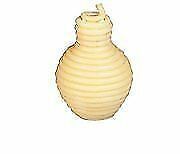 This Beehive jar candle is crafted to look like a beehive with a honey bee flying by, which makes it perfect as a centerpiece to refresh ones table setting décor or as gifts for any occasion. NATURAL BEESWAX - We use 100% pure natural beeswax to make our candles. They have a natural deep yellow color (shades may wary depending on the season). NATURAL SWEET SCENT OF HONEY - Our candles are more suitable for people with allergies or asthma than paraffin candles. Glass, paraffin wax, cotton wick. Burns up to 110 - 150 hours. Citrus scent. Rosy Rings Honey Tobacco Tall Round Scented Candles, 5"